On such a snowy day as today, I thought I’d post a snowy scene from one of my novels. This passage takes place in Superior Heritage, The Marquette Trilogy: Book Three and takes place in 1992 when John Vandelaare, a college student and living at home, helps his father Tom with cleaning off the roof. Enjoy. 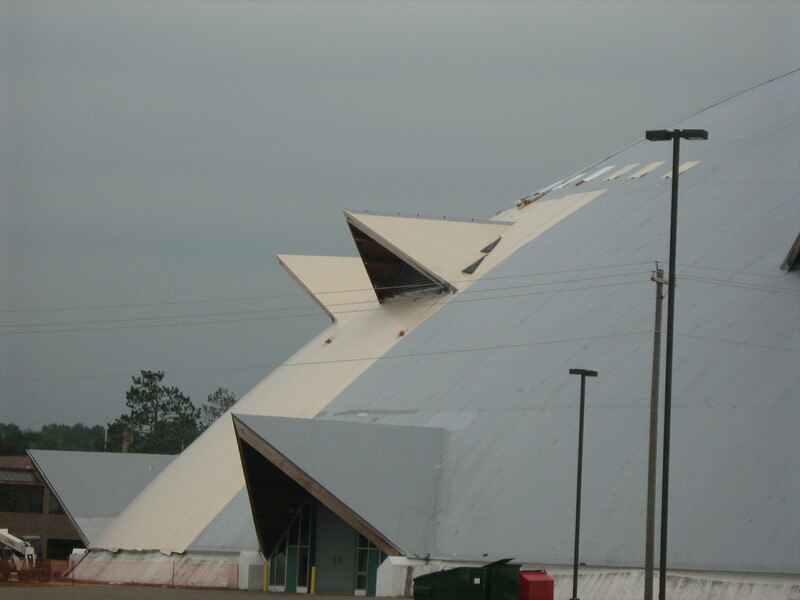 I hope none of my readers have to clean off their roofs any time soon, but if you do, be careful! 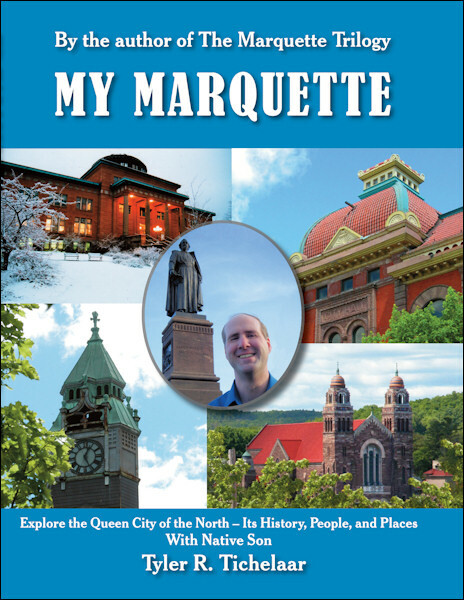 Superior Heritage: The Marquette Trilogy, Book Three covers the history of Marquette from 1952-1999. The first weekend of January, Tom Vandelaare was convinced the three feet of snow on his roof, and the several more feet still to come before winter ended, were certain to bring the ceiling crashing down, burying his family under a blanket of snow and ice. After days of hemming, hawing, and hoping for a warm day to melt the snow, he resigned himself to shoveling off the roof. “John, you want to come up and help your dad?” Tom asked at breakfast. “I’d probably fall off the roof,” John said. Chad worked at the NMU cafeteria. John had a job as a tutor at the campus Writing Center, but he could not use work as an excuse today. “It wouldn’t hurt you boys to help your father,” said Tom. “The neighbor’s son goes up on the roof to help his dad. I’ve even seen him up there shoveling by himself,” said Tom as he put on his boots. No one replied until he had gone out and slammed the door. “Maybe I should help him,” said John. “You’ll just fall off because you’re so uncoordinated,” said Chad, putting on his coat and kissing his mother goodbye. John helped his mother clear the breakfast table. When she started the dishes, he went in his room. He tried to work on his novel since it was the last day of Christmas vacation and tomorrow he would be busy with school. He had wanted to write all during vacation, but instead he had spent his time doing genealogy and watching movies. He sat down at his desk, turned on the computer and waited for it to boot up. He found himself staring out the window as shovelfuls of snow were thrown off the roof. He could hear his father stamping his feet so no one would forget he was up there working. If Tom had to clean off the roof, no one else would be able to concentrate on anything until he was done. “Negative attention, that’s all he wants,” John thought. He opened the document that contained his novel, rewrote a paragraph, then found himself staring out the window again. “Where are you going?” Ellen asked when he passed through the kitchen in his winter jacket. “Well, just be careful,” said Ellen. “Dad, I’m coming up!” John shouted once he was outside, shovel in hand. “Okay, I’ll hold the ladder for you,” Tom shouted down. John had expected at least a “Thank you” for his help, but he should have known better. Now wishing he had stayed inside, he climbed up the ladder, careful not to let his feet slide off the slippery rungs. Soon he lifted one foot onto the roof. “Be careful,” his dad warned. For a minute, John imagined himself falling backward, plummeting into a five foot snowbank, but once his feet were planted on the roof and he stepped away from the edge, he felt secure. John only partly listened. He gaped at all the snow. He wondered how long this job would take; he imagined it would be time consuming if the roof were slippery. He wished there were a way to bring the snowblower up here. “All right,” said John, stepping only where snow on the shingles gave him traction. He had expected to have trouble balancing himself, but other than shoveling on a slope, he did not feel as endangered as he had expected. The work was tiring, but he did not mind. He stopped every few minutes to catch his breath and to watch his father work like a machine. Tom liked to complain about work, but he was only happy when he was occupied. John threw the snow onto the already imposing banks. Soon his back hurt from his crooked stance and the repetitive movement of shoveling. The snow was coming down lightly, but it was a warm winter day, nearly twenty-five degrees. The constant movement kept John warm, and he enjoyed the cool air; he had nearly forgotten how fresh air tasted after two months of being cooped up in the stale house. Father and son stopped a moment to watch an air force jet fly overhead. John ignored his father’s complaints. He wondered where the plane was going and what it felt like to fly one. He decided it was worthwhile to help his dad, if only to see the snow covered trees stretching in all directions and the chimneys peeking out of snowcovered roofs. He could even see Marquette Mountain’s ski hill and the edge of town where the trees ended. Up here, he realized how small Marquette was—only a little clearing in a giant northern forest; it had grown from a village of a hundred people to over twenty-thousand, but when compared to the size of the forests, it had grown little. All the snow burying the houses reminded John how insignificant people were beside the power of Nature. All people could do was to build shelter for protection, to claim a piece of land for a little while, maybe a few generations, a piece of land that would remain long after its owners were gone. Yet John was descended from the rugged pioneers of Upper Michigan, and here he wanted to stay. John had not traveled much—he wanted to see the land of English literature, and Ireland, India and the pyramids of Egypt, and the Netherlands where his father’s father had come from, but wherever life might lead him, he knew he would always come home to his snowy little town on Lake Superior. Here’s a sneak preview at the prologue to my new novel Spirit of the North: a paranormal romance. The book is now available on my website at: www.MarquetteFiction.com as well as in ebook format at Amazon and Barnes & Noble. The other day, my granddaughter came over to help me pack and weed through a half century of accumulated items. I am moving now to Snowberry Heights, the senior citizen high rise in Marquette. I am looking forward to the move, the comradeship it will provide, and the freedom from the care of a house and all its possessions, yet it is hard for an old woman to leave her home; here I first came in 1941 as a young bride, here I raised my daughter, here I lived as a widow when my husband passed away, and then later, here I raised my granddaughter, Sybil, after her parents died in a car crash when she was a young child. Now she is in college, living in the dorms at Northern Michigan University, and I have no need for so much space as my house gives me. In my life, I have acquired so many items, both my own, as well as those I packed away after my husband, my parents, and grandparents died. Since I inherited my house from my grandmother, and raised my own daughter and granddaughter here, the house contains the collected possessions of five generations. I felt too overwhelmed to sort through and toss out everything on my own, so I asked Sybil to help me. I came to write this explanation as a result of what happened that day as we were cleaning and packing. Sybil was standing on a chair in front of the back bedroom closet. She was pulling down boxes from a high shelf while I sat on the bed, sorting through old wedding invitations and funeral cards for people half of whom I could no longer remember. “Grandma, what’s this?” Sybil asked. She dug for a minute before she pulled another notebook out from under a box. “I guess you could say that.” I didn’t know what else to say. I had never told anyone about those notebooks. I had always wanted to tell someone, but I had feared no one would understand, except maybe Sybil. Many times I had thought about explaining them to her, but I kept telling myself she was still too young. Finally, I had decided I would just leave them for her to find after I’m gone. I was not prepared to explain them to her that day, perhaps because she would think me crazy, but also because she was always such an odd girl—probably from living with an old lady all these years, and from the blow of her parents’ tragic deaths in that car crash—a crash she survived. I cannot imagine what affect that must have had on her. She’s always been a moody child, given to odd outbursts of enthusiasm followed by moments of severe melancholy. I’m afraid I was not the best companion for her to grow up with. I worry about what will become of her when I am gone—I hope I live to see her finish college, start a career, and find a husband. I hope college will allow her to find the friends she failed to find in high school because she was always so different from everyone, such a loner as her generation says. I’ve always felt for some unexplainable reason that it was important she learn what the notebooks contain, but I have just never been sure she was ready for that knowledge—maybe she is more mature than I believe, but the notebooks are strange, and I have not always been sure she would be emotionally stable enough to handle the information. Yet the story is meant to be known by her—meant to be known by everyone who cares to hear it really. My own fears are what have kept it from the world, fears I have held onto since I wrote the notebooks back during the Second World War. My grandmother insisted the story be told, but I was always afraid to tell it, and somehow I’ve sensed it is Sybil who is to make the story known; I have just had to wait until the right time to make it known to her. I’m not really sure it was meant for me because while it is quite a curious tale, my life has been basically happy, and the knowledge of that story has made little difference to me. But I trust my grandmother, Barbara Traugott, knew better than me when she had me write it down. My role in the story is probably intended to be minimal, only to act as a link between generations to pass the tale from my grandmother to my granddaughter. Sybil will be the one to decide how and when to bring the tale before the world. “But it looks like a whole book,” she said, flipping through the pages of the first notebook. She was resistant to hand it to me. She looked disappointed, but she obeyed. I took the notebooks and set them behind me on the bed. She frowned. When she turned her back, I slid the notebooks under a box—to leave them visible might only entice her to further questions. Later, after Sybil had gone home, I pulled out the notebooks and reread them. I had not thought about them for many years, and often when I did think about them, it was dismissively, as if they were the result of some delirious fantasy of my mind, but as I read them again that night, I was struck by just how remarkable they were, and how utterly impossible it seemed that, even at my most imaginative, I could have written them. They contained information about life in early Marquette: names of pioneer families—the Ridges, Whitmans, Hennings; families whom I had no knowledge of—and terms from the nineteenth century I had never heard. I know it would have been impossible for me to have written this book, even though it was in my own handwriting. I’m probably confusing the reader now, the first of whom I imagine is Sybil. Be patient, dear, and you’ll understand it all shortly. The story of how those notebooks came to be written goes back to a day similar to the one when you found them. On that day, I had gone over to my grandmother’s house, the very same house I inherited and the one you grew up in. I was a young woman then, and I had just finished my courses at the Northern State Teachers College and was still looking for a position. My grandmother knew I had little money, so she asked me to come over and help her clean in exchange for a few dollars. My grandmother was an ornery old woman, but God rest her soul, she tried always to rise above her nature. She would go the extra mile for those she loved, but in return, she demanded strict obedience to whatever she asked. Even in her eighties, her eyesight remained impeccable enough to notice every speck I missed when I dusted her hutch cabinet. On this particular day, I was cleaning in her bedroom. As I lifted the edge of her dresser scarf to dust beneath it, a young man in an old tintype photograph stared up at me. He was very handsome, and not more than eighteen, I would say. Although the picture was quite old, his face was still clear. He looked as if he would have been blond, and tall, and strong, what the young girls today would call “a hunk” I suppose. I had never seen a photograph of my grandfather, so I naturally assumed it was him, but when I looked at the back of the photograph, it was signed, “To Adele. Love, Ben.” And below that was written some sort of poem, although the paper had rubbed away in so many places that I could not fully make out the lines. I knew Adele had been my grandmother’s sister—dead long before I was born. But I had no idea who Ben was—perhaps some secret lover—but certainly not Aunt Adele’s husband, for she had never married. While I pondered the handsome man’s face, my grandmother came into the room. Despite her age, she could still manage to sneak up on people; she was not yet feeble enough to warn others of her approach by clumping down the hall with a cane. “Haven’t you finished in here yet?” she snapped. “I’m almost done,” I replied. She came up to me and put out her hand. When I gave it to her, her face started to go pale. Lifting the edge of the dresser scarf, she stuffed the photograph back where I had found it. “But Grandma,” I said, “if they’re both dead, what would it hurt to tell me about them?” If there were nothing to tell, she would have said so, but her resistance to talk revealed that there had to be a story behind that picture, and my curiosity made me persistent. Before she finished the sentence, my mother knocked on the door and entered. My mother was always such a talker that others could scarcely get a word in. She and grandmother could gossip with the best of them, but if the conversation turned personal, Grandma would instantly clam up; she feared if people knew her business as she made a point of knowing theirs, she would never have any rest from others’ tongues. Apparently, the mysterious Ben was too personal for her to talk about because when I tried to mention the photograph to my mother, Grandma purposely changed the subject by asking me about my future plans now that I had finished my schooling. I forgot about the photograph for the time being. That fall, I got my first teaching position in another town too far away for me to live in Marquette. While I was gone, Grandma passed away. That same week, a teaching position in Marquette opened for me. And although Grandma had three sons and a daughter (my mother) for her children and plenty of other grandchildren, she had left the house to me. As her only granddaughter, I had always suspected I was secretly her favorite. At that time, my fiancé, Earl, lived in Marquette, but we had put off getting married until we could afford it, and my living in another town had only complicated the situation. Now everything seemed to have come together for us. We married that summer and moved into grandmother’s house. Everything would have been perfect except that the United States had entered World War II, so Earl soon found himself enlisted. A month after he entered the service, I learned I was expecting a child. Earl and I had no time to clean out Grandma’s belongings before we moved into the house, but now I decided to turn Grandma’s bedroom into the nursery. While cleaning her room, I again found the photograph of Ben. I don’t know why, other than that I fancied Ben’s looks, but I hung onto the picture, hiding it in my own dresser. I was even a little afraid Earl would find it when he returned. I admit I peeked at it fairly often. I knew there had to be something terribly romantic behind that picture—Ben looked like such a naturally heroic young man with that great blond curl waving over his forehead. No harm existed in looking at his handsome face; Grandma had told me Ben was dead anyway, and even if he were alive, he would have been about ninety by then, and I was a married woman. But I never did show the picture to my husband. I placed Earl’s picture on my dresser where I could see it each morning as I woke, but I confess I looked at Ben’s picture almost as much. Perhaps it was only a misdirected longing for my husband, but I started to feel a serious infatuation with Ben; I started imagining some remarkable stories about whom he had been and what his relationship may have been with Great-Aunt Adele. I convinced myself that she had been in love with him. It is silly now, even embarrassing, to admit how infatuated I was with that photograph. I rather fancied Ben looked as if he wanted to talk to me, as if he were trapped in that flat black and white world and yearning to escape. 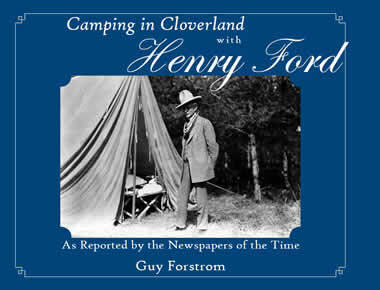 He looked so alive, so vibrant, though seventy years had passed since the photo had been taken. It seemed a shame that a young man with all that energy should not be alive now. I bet he could have taken a dozen Japs with his bare hands. What an asset he would have been to the war effort. How did Aunt Adele ever let him slip through her fingers? Grandma had said Ben and Aunt Adele were just friends, but I found it difficult to believe any woman could settle for just being friends with such a good-looking man. Sometimes I daydreamed so much about Ben that I felt guilty, and then I would try to make it up to Earl by writing him an extra sweet letter, and saying my rosary to pray for his safety. And now comes the hardest part to explain—far harder than to explain my infatuation with Ben. I was sitting at the kitchen table one evening, trying to write to Earl, but I had nothing to say to him other than the usual about how much I missed him. When he had first gone away, I had written to him everyday, but after the first couple of months, it felt like a chore to write more than once or twice a week. I wished I’d had the baby before he had gone—then I could have written to him about its first tooth, its first word, its first attempt to walk. But until the baby was born, what was there to say? My life was dull compared to the dangers Earl was experiencing in the Pacific. All I could talk about were the school papers I had to grade, and how once or twice a week I went to my parents’ house for supper because my mother worried I was lonely. I was lonely, but I didn’t want to express that to Earl—he would only worry about me, and that might distract him from paying attention to whatever battle he was facing, and then he might not come home to me. And then I would wonder whether that was how Aunt Adele had felt—that Ben had not come home to her—I didn’t know what had happened to Ben, but he hadn’t married Aunt Adele; I was certain there had to be some great heartbreak there, yet I could not believe any man so outwardly attractive could be anything less than inherently good, so I remained curious why they had not married. One evening, I decided to write to Earl before I made supper, but instead I found myself just sitting at the table, long after dark came, without turning on the light, letting my mind wander until I dozed off. I dreamt I was writing something, not a letter to Earl but some sort of beautiful story, even though in my sleepy state the words did not quite make sense. Finally, I woke to find myself sitting in the dark. When I turned on the light, I found I still had the pen in my hand. I had scribbled all over a sheet of paper, scribbled, not written any words. I crumpled up the sheet, threw it in the wastebasket, and then made myself supper. By the time I finished the dishes, I realized I did not feel well. Fearing that if I became sick, the baby would be in danger, I decided to go to bed early. I was asleep by eight o’clock, and slept until after midnight; then I woke up sweating and lay awake in a miserable state for hours, too tired to get up, yet unable to fall back asleep until the early morning. Then I slept fitfully, dreams flitting through my head. I know I had many dreams that night, yet when I woke, the only one I remembered was of lying on my stomach, trying to write a story on my pillowcase with an imaginary pen. I got up with the first glimmering of daybreak and made myself some tea since I doubted my stomach could take anything more substantial. I thought I should finish writing my letter to Earl before the mailman came—if I became more ill, I did not know when I would be able to write again. But I got no farther than, “Dear Earl” when I felt so tired and groggy that I thought I should go back to bed. My mother had feared that having Earl away during my pregnancy would be too much of a strain for me. I began to think she was right—I suddenly felt overwhelmed by my entire life—the responsibility of teaching so many students, being alone and pregnant, worrying about my husband overseas—it all seemed so unreal, so nonsensical, so absurd to believe it was my life. I stared out the window until the sun rose—its rays breaking pink over the lightly snow-covered ground. The snow looked so smooth in the early morning light—smooth like Ben’s boyish cheeks. Earl, by comparison, had a very rough face, even after he shaved. I wondered what it would be like to touch a smooth face on a man. For a second, I sort of reached out my arm, as if Ben were before me so I could stroke his cheek. A sudden jolt shot through my arm, from my shoulder to my wrist, and then my left hand began to tingle. My hand picked up the pen, gripping it tightly, and in a fury, it began to pour out words onto the blank paper. I was terrified—I had lost control of my arm, but I was too astonished to try stopping it. It felt numb, as if separated from my body, yet it was functioning perfectly. I stared as I scribbled words onto the paper. I felt as if I were leaning over someone else’s shoulder, watching her write. I wondered whether I was possessed by a demon; should I grab the phone? But who would I call? St. Luke’s Hospital? A priest to come do an exorcism? I could not move from the chair; my arm would not stop writing, and my body could not move without my arm. Then I started to read the words my hand was writing. My fear turned to amazement and curiosity. I had no way of knowing what power or intelligence was forming the words, but I saw names on the paper, sentences written about people whose names I did not know except those of my grandmother and Great-Aunt Adele. Then after a few paragraphs, I recognized the tone as my grandmother’s voice. Curiosity overcame my fear as I read further. My grandmother’s spirit—I don’t know how else to describe it—was somehow flowing through me, forcing me to write for her a tale from her own life. And while my hand continued to jot down words, in my head, I heard my grandmother speaking. “Every morning before you go to school, you must wake up early to write until the story is finished.” I still could not believe this possession was my grandmother, but as the writing continued, I realized it could not be otherwise. Later, although I never told my mother about the experience, I asked her questions about my grandmother’s life; my mother confirmed knowing some of the people mentioned in this manuscript in her early childhood, and she confirmed those people’s positions in the community so that I cannot doubt my grandmother herself wrote this story through me, although I find it unexplainable. There is nothing in the writing that makes me believe I was possessed by an evil spirit, even if some of the story’s message does not perfectly coincide with the Church’s teachings. The way the sentences are turned, the words put together, all sound so much like my grandmother’s way of speaking that the only explanation is that her spirit was using me to perform some type of automatic writing, so she could tell me her story now because she had been afraid to speak it during her lifetime. I don’t want to say much more. Every morning after that for several weeks, I woke up in time to spend a quiet hour or two allowing my grandmother to use me to perform her writing. I think it best I say no more about the manuscript’s contents but that I leave it to speak for itself. Perhaps because I am old now, people might dismiss this story as the ravings of a madwoman trying to put one over on the public. I do not know what people will say about it—that is why I have always been afraid to show it to anyone, so I leave it for Sybil to decide how to use it. I only know it was an experience I can never explain. I know, during those hours of writing, my arm moved at an alarming pace I never could have maintained by sheer human stamina. I don’t know what made me susceptible to the spirit world’s influence—although I have an idea it had something to do with my family background, and perhaps because I felt such an attachment to Ben’s photograph, an attachment that in itself felt almost otherworldly. I verify that this story is written in my grandmother’s own words—she never spoke a word to me about anything it contains during her actual life. Neither did I change a word of it from how it was channeled through me. I don’t believe there is any way I could have known this information, or provided the historical details the work contains. Never could I have imagined with such clarity what my grandmother’s life would have been like when she first came to Upper Michigan, seventy years before I wrote this manuscript. I leave it to the reader to decide what to believe of this strange story. Perhaps the people of the twenty-first century will be less skeptical than those of my own largely atheistic twentieth century. 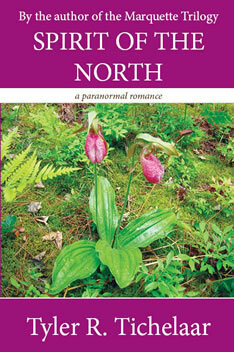 My Sixth Novel “Spirit of the North: a paranormal romance” is on sale now. Marquette, MI April 1, 2012—Forced to spend the winter alone in a northern woods cabin in 1873 Upper Michigan, sisters Barbara and Adele Traugott battle the elements and their own fears to discover the miracle of their own being in Tyler R. Tichelaar’s new novel “Spirit of the North” (9780979179068, Marquette Fiction 2012). “Spirit of the North” (9780979179068, Marquette Fiction 2012) can be purchased through local and online bookstores. For more information, visit www.MarquetteFiction.com.. Review copies available upon request. The story is a Paul Bunyan tale which is told by Karl Bergmann, familiar to readers of The Marquette Trilogy. Karl also told a Paul Bunyan story “Paul Bunyan and the Black Rocks,” in The Queen City. Karl will return in Spirit of the North along with his good friend, the lumberjack Ben. Other familiar characters from the trilogy who will return are Nathaniel and Cordelia Whitman, their children Jacob and Edna, and yes, the woman everyone loves to hate, Sophia Henning, also makes an appearance. But the main characters will be completely new to readers. I went upstairs, too tired to fear leaving my sister alone with a strange man. He could not possibly hurt her in his condition, and he was so handsome I felt almost certain he was kind. Perhaps when he became well, he could teach us how to live here—at least show me how to chop down a tree or shoot Uncle’s rifle. I told myself his presence was a good thing. Little could I foresee how much he would hurt us both. 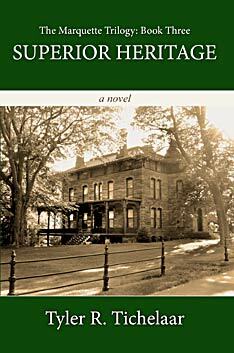 In 1873, orphaned sisters Barbara and Adele Traugott travel to Upper Michigan to live with their uncle, only to find he is deceased. Penniless, they are forced to spend the long, fierce winter alone in their uncle’s remote wilderness cabin. Frightened yet determined, the sisters face blizzards and near starvation to survive. Through their difficulties they find love, heartache, and ultimately, the miracle of their own beings. For more information about all my novels, visit www.MarquetteFiction.com. The following essay is the preface to My Marquette, to be released this week. Where do you come up with your ideas? What made you decide to write about Marquette? Ever since Iron Pioneers was first published, my readers continually ask me these questions. 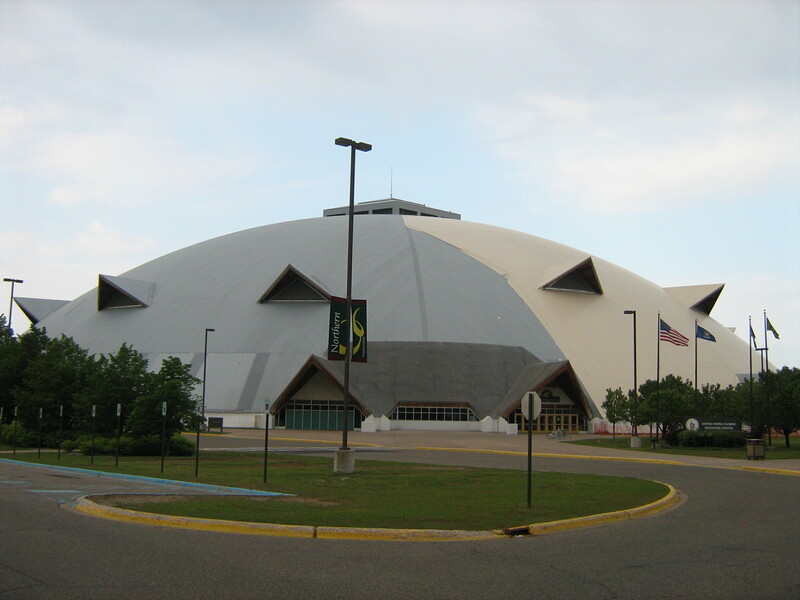 My answer is that having been born and raised in Marquette, and being so enculturated into the city’s history and its people, as an author I simply cannot not write about it. The best advice a writer is given is “Write what you know” and if I know any place, it is my hometown, where I and generations of my ancestors have lived. I am unable to remember the first time I saw St. Peter’s Cathedral, the Old Savings Bank, or Presque Isle Park. They have always been there, always been a part of my conscious world—always actively influenced my imagination. My earliest memories include my grandfather telling me about Marquette’s past, stories I never forgot that made me wonder what it was like to grow up in this town in the early twentieth century, when automobiles were still a novelty, long before television, in days when my grandpa would get a quarter to scrub the kitchen floor, and he would use that quarter to treat himself and a friend to a silent movie at the Delft Theatre and still have change left over for snacks. Since I was eight years old, I knew I wanted to write stories, and growing up in a town where my family had lived so long, hearing story after story about the past, I wanted to write down those stories and make the past come alive for people. 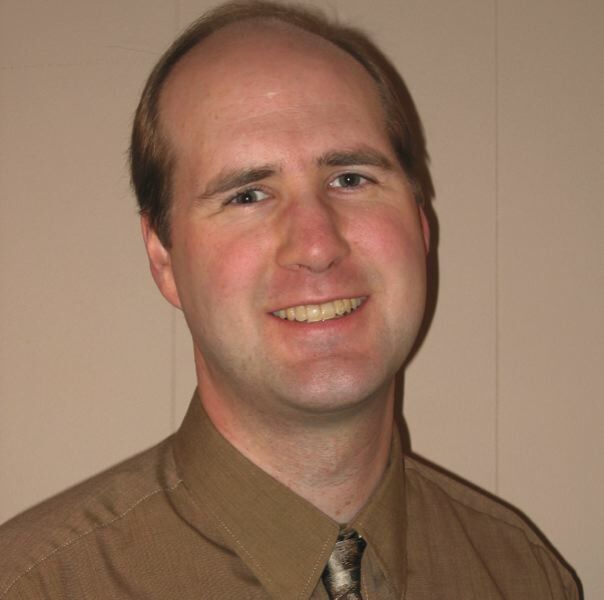 While in college, I became interested in family history. I learned then that the earliest branch of my family came to Marquette in 1849, the year the village was founded, and my family has lived in Marquette ever since. As I learned more about my ancestors and Marquette’s history, I could not help but imagine what it would have been like for a person to come by schooner across Lake Superior in 1849, to see only a wilderness where a village was to be built, and what it was like after two decades of struggling to build that town, to see it destroyed by fire in 1868, only to spring up again, grander than before. And what of the winters? Feet and feet of snow, and no snowblowers or modern snowplows. What an amazing courage and determination the pioneers had to carry on each day in the nineteenth century. In my novels, I tried to recreate the early settlers’ experiences so readers would understand and appreciate their courage and draw their own strength from the examples of those mighty pioneers. 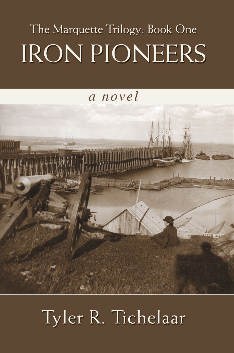 The scene in Iron Pioneers that I feel best demonstrates The Marquette Trilogy’s themes of courage and survival is when Molly and Patrick talk about why they left Ireland to come to America. Their discussion reflects the tales of many immigrants who came to Marquette—some like Patrick to escape religious or political oppression—some like Molly, to avoid poverty and suffering. Molly’s daughter, Kathy, after overhearing her mother relate how her ancestors had starved during the Irish potato famine, and knowing that others around the world are far from as fortunate as her, asks her future husband what the past and her ancestors should mean to her. “How can we live in America, knowing that others are suffering?” Kathy asked. “Happy?” she asked, feeling it impossible after years of living under her stepfather’s oppression, after the suffering her mother had known. She feared to be happy from fear it would not last. He only understood this truth as he spoke it, as he suddenly believed the world could be a wonderful place; that everything could work out for the best. He felt like an old Celtic bard who foresaw a hopeful future capable of washing away past grief. I wrote my trilogy as a tribute to those pioneers who built Marquette, and those like them in every community who built this nation despite the difficulties they faced. Whether a person has ever visited Marquette should not determine whether they find enjoyment or inspiration from the history of this fine city. The story of Marquette is the story of the American Dream, of dreams for a better future and the struggles to achieve that dream, the hopes and fears of countless American generations of immigrants seeking a better world, and how some achieved it, some failed, and some persevered without giving up. Based on the pioneers’ examples, my novels have hopefully inspired readers with the courage to endure their own trials and overcome them. To give people that courage, and to hear how much my novels have resonated with them, has made the many lonely hours of writing all worthwhile. In writing about Marquette, I knew I wanted to capture the magic of one particular place and allow readers to travel there and come to know it as well as I did. I have lived in Marquette all my life except six years when I foolishly thought I would find a better life elsewhere, only to feel exiled. While I was away, Marquette celebrated its sesquicentennial in 1999, and that same year, I, homesick, decided to write about its history. I had written other novels, but never satisfied with them, I had left them unpublished. When I began writing Iron Pioneers and its sequels, although I knew the task would be monumental, I finally felt I had found my voice, the books I was actually born to write. I wrote about the outdoors—the wild, thick forests, the temperate, green-leaved splendid summers of blueberry picking and daring to enter Lake Superior’s cool waters, the roar of the winter wind, the blizzards that leave behind snowbanks that must be shoveled, and ultimately, the sense of peace one feels among so much natural beauty. I wrote about Marquette’s history, for I could not imagine a more inspiring story than the American Dream played out in a quest to build an industrial empire along Lake Superior, of an iron discovery that produced more wealth than the California Gold Rush, of a mined product that helped to win major wars and change the world. And I wrote about the change and decline of that iron industry, how it affected the people who lived in Marquette, sometimes fulfilling, often destroying their dreams. Relationships are complex in small towns, the layers of social networks dizzying; in the intertwining family trees and the friendships of my characters, I tried to capture this reality. A love affair or a conflict between friends can be of mammoth proportions in the history of a small town—as important to its inhabitants as a world war is on a national or international scale. It was that personal connection to each person and place that one feels living in a small town that I wanted to capture in my fiction. I have felt lonely in large cities, walking down streets where not a face is familiar, where no one notices you. In Marquette, although it has grown to where I can go into a store without seeing a familiar face, I know if I stop to speak to any stranger for a minute and name a few friends or acquaintances, the stranger and I will know someone in common. We are only separated by a degree or two in our little city of twenty thousand people. Living your entire life in the same place breeds familiarity. Even if I see no one I know when I walk about Marquette, the city is rich with memories and history for me. It is an indescribable comfort to enter the downtown post office and recall that my grandfather helped to build it during the Great Depression. I can walk down Washington Street and see the stone in the sidewalk marking where the Marquette Opera House once stood, where my grandfather proposed to my grandmother before it burned down in the great fire and blizzard of 1938. The First Methodist Church has a stained glass memorial window to honor my ancestral aunt and uncle, Delivan and Pamelia Bishop, who were among its founders in the 1850s. I look out onto Iron Bay and imagine what my ancestors must have felt when they first arrived on its shore. 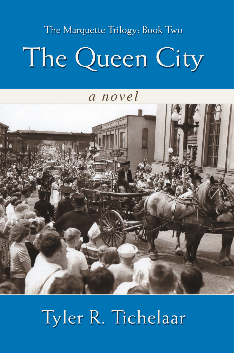 My readers tell me, because of my novels, they now walk about Marquette, equally imagining what life was like here for the generations before them—to me, that is the ultimate compliment to my work—that it has made my readers imaginative and interested in history and especially their own family stories. A timelessness settles over a person who grows older while living in the same place. You talk about Cliffs Ridge, the ski hill whose name was changed to Marquette Mountain twenty years ago, yet your old friends know exactly where you mean and do not correct you—it is still Cliffs Ridge in their memories too. As you drive into South Marquette on County Road 553, you turn your head out of habit to look at the old red brick house of the Brookridge Estate, which you have always admired, only to realize it is 2010 now, not 1982, and the house was torn down nearly twenty years ago to build the new assisted living facility, Brookridge Heights. Moments of joy from your past keep you connected to people. Thirty years ago, the Marquette Mall had a fountain with colored lights—so many people have told me they had forgotten about it, and they were glad when I reminded them of its beauty in Superior Heritage. Every place I step, I remember a dozen moments from my own past—I stop to get gas at a station where once stood the Bavarian Inn where I had breakfast dozens of time. I go to the remodeled Delft Theatre and can still remember the first movie I saw there when I was three years old—memories layer themselves on top of each other. The past never dies—we can travel back to it in our minds, and reading a book is the opportunity to enter another world or an author’s mind and experience another person’s experiences. 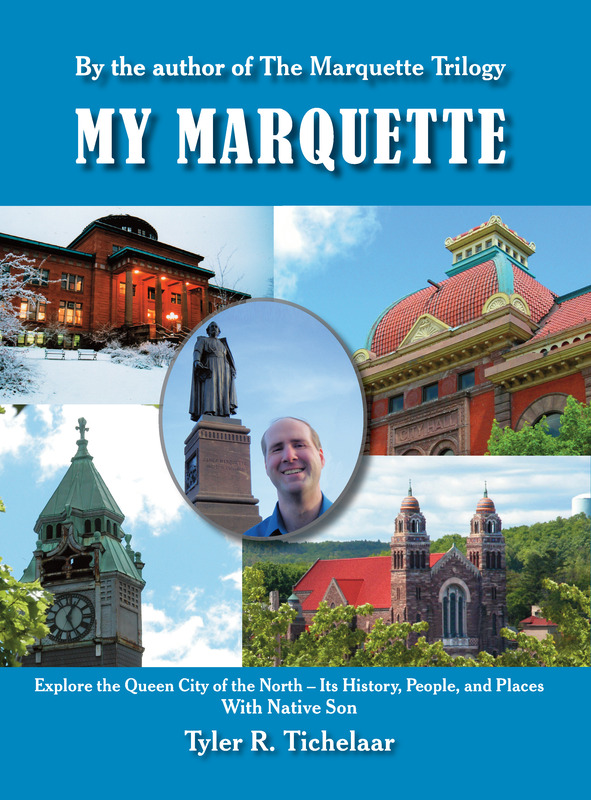 I imagine such nostalgia and family connections are why people enjoy my books, why some of my readers stay in Marquette despite the possibility of better lives elsewhere, or why many of my readers, exiled from Upper Michigan, find comfort for their homesickness by revisiting Marquette through my words. Books and memories allow you to go home again. This deep abiding connection, this sense of place, of belonging, of knowing I am home and knowing how much that is to be valued—that is why I write about Marquette.